Mickey Justice plays a bagpipe salute as skipjack crews head out to the start of the annual skipjack races near Deal Island, Md. 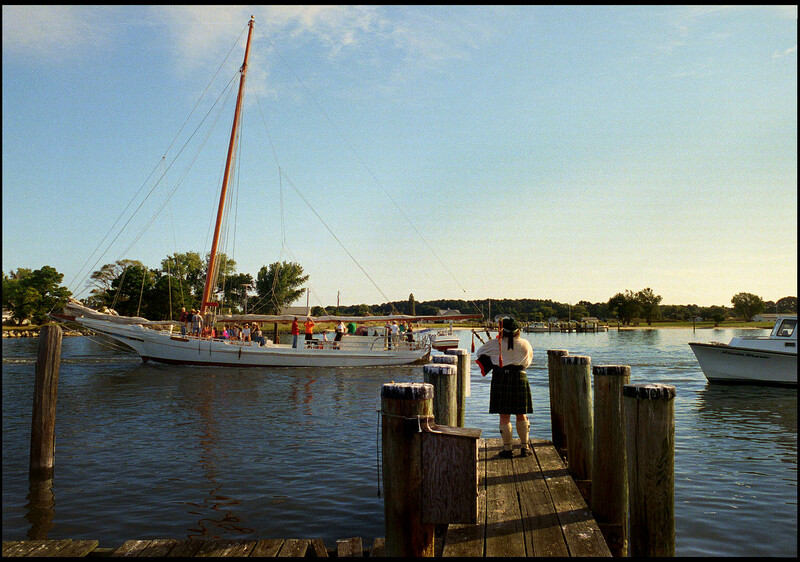 A working boat primarily used for oyster dredging, the skipjacks stand as an icon of the Chesapeake Bay and once numbered in the thousands. The fleet now hovers around 50, in part a result of changing regulations that now allows use of motorized workboats to harvest oysters. The annual Deal Island race, held since the 1950s, remains a way to build camaraderie among the watermen community, while allowing captains and crews to show off their seamanship skills.